Look at that magic… Are you seeing this? Pure awesome sauce! No pun intended because well, it IS awesome sauce. O.o That happened. Anywho this is a little jig that I found on the ol’ Pinterest machine from Taste of Home and I feel its not getting as much praise as it should! 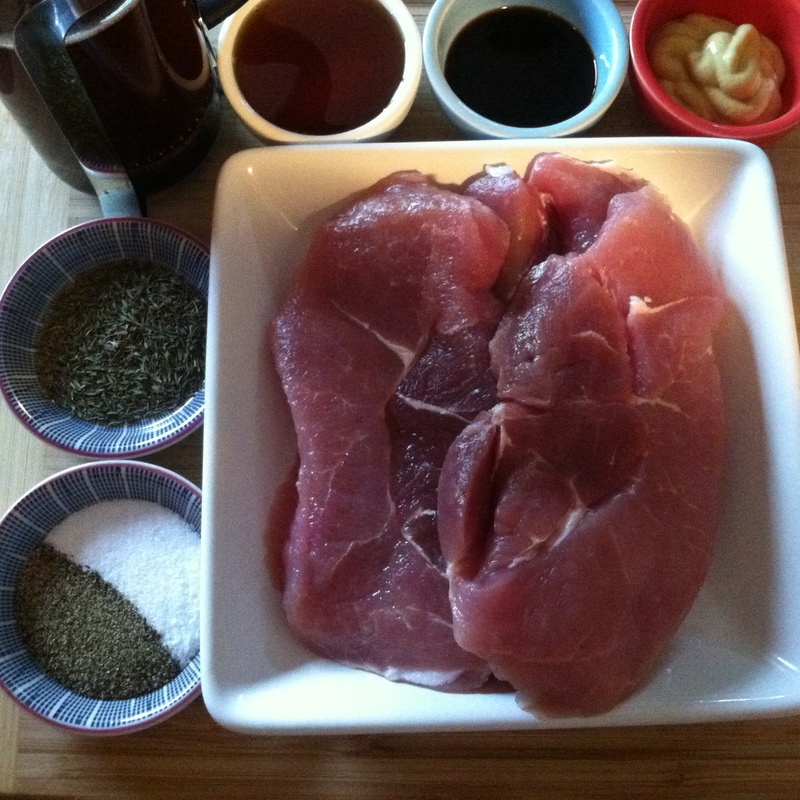 I hear all about these “Easy Ranch Chicken”, “Doritos Chicken”, “Easy Brown Sugar Pork Chops”, etc. 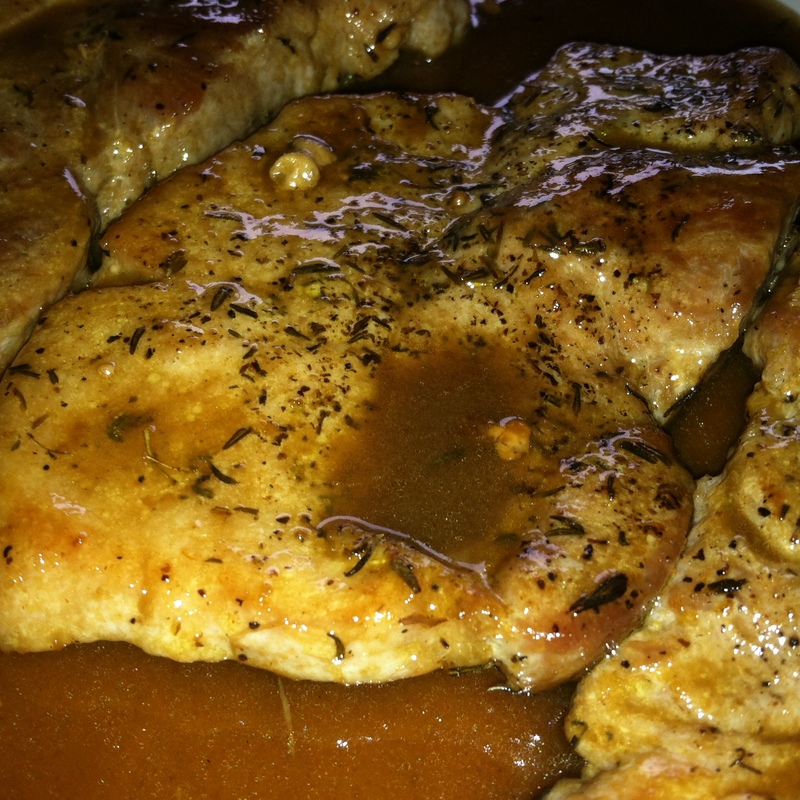 but this is the only pin I have seen circulating my home feed regarding Maple Glazed Pork Chops! Lets say we get this little hot number out there a bit more for everyone to see. 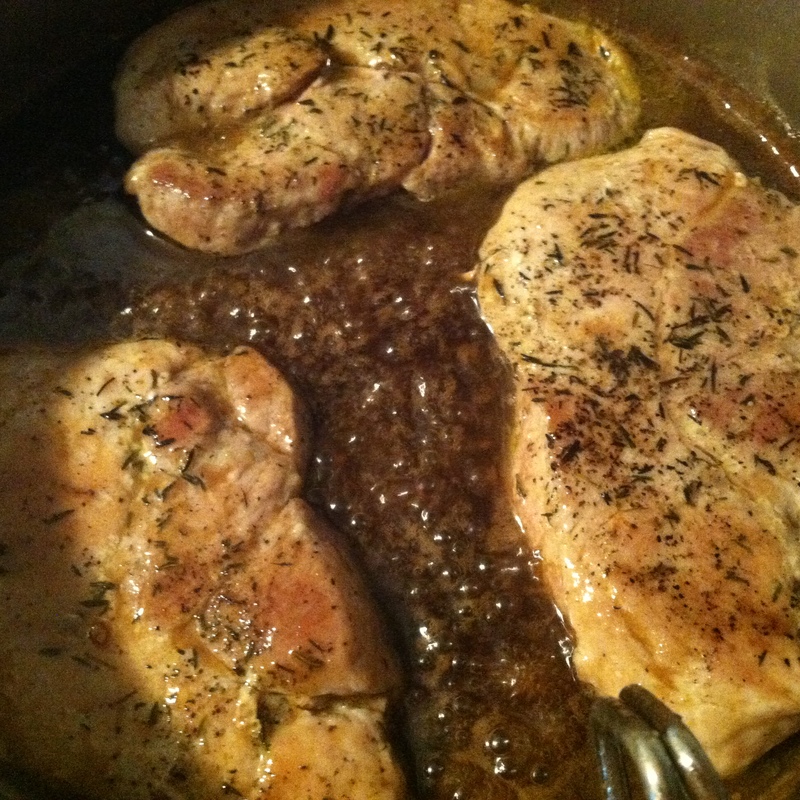 Honestly I think I over cooked the chops a little bit but because of the pan sauce, you really couldn’t tell at all! The only reason I knew was because I got distracted and the timer was beeping for a few minutes before I ventured into the kitchen sooooo for all the dishes to make while multi tasking, this was the best pick haha. 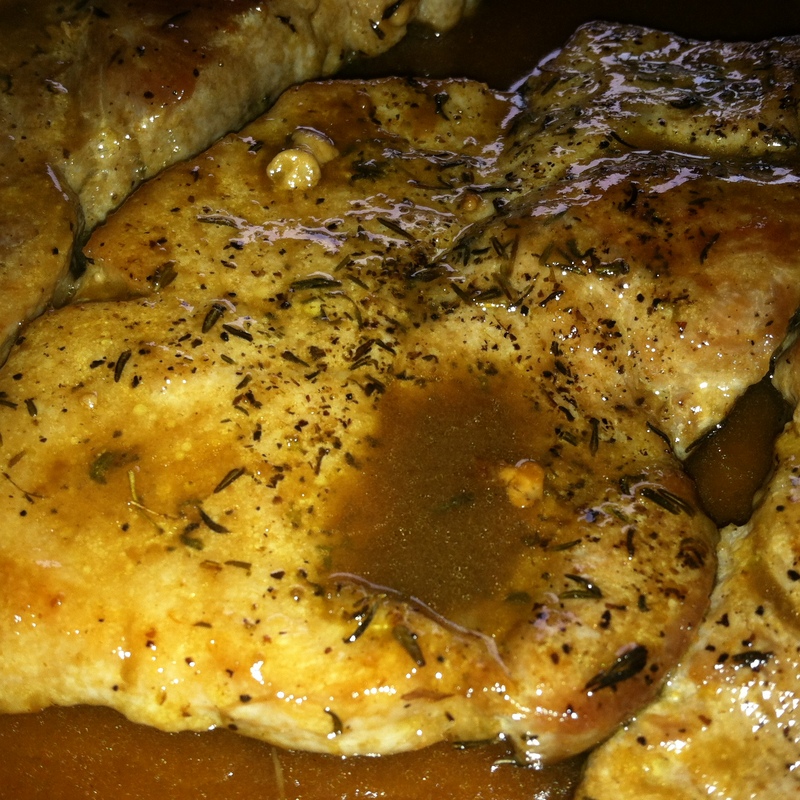 Anyways, these chops were very juicy, and tangy with its real maple syrup glaze. 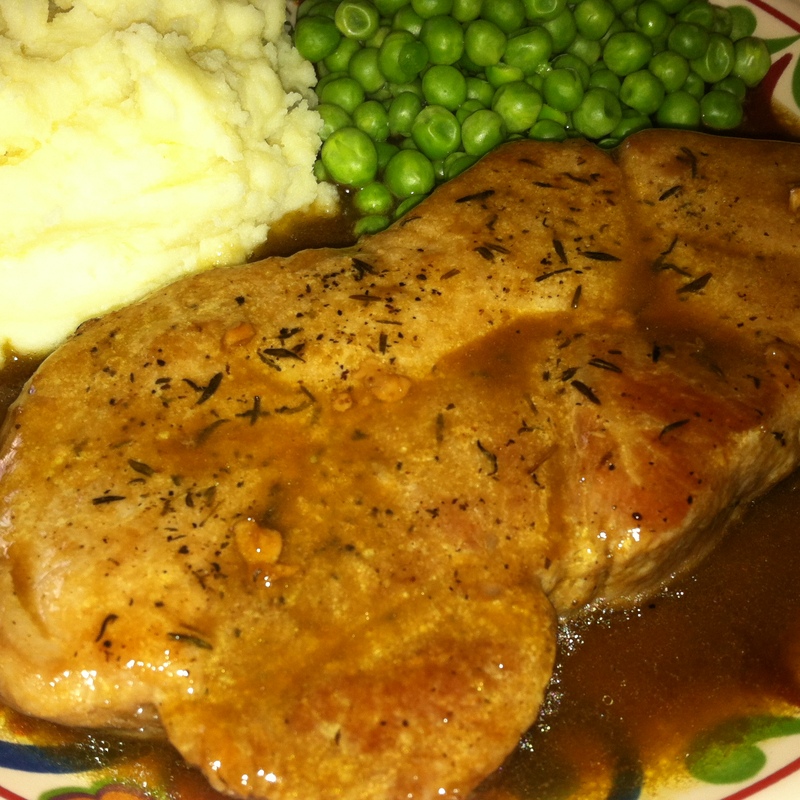 You could really taste the subtle hints of Dijon mustard and a slight depth from the Worcestershire sauce. I think based on this dish, I am going to explore a bit more with this combination. It seems as if it would go well with a pecan chicken among other nutty or buttery dishes. We shall see! 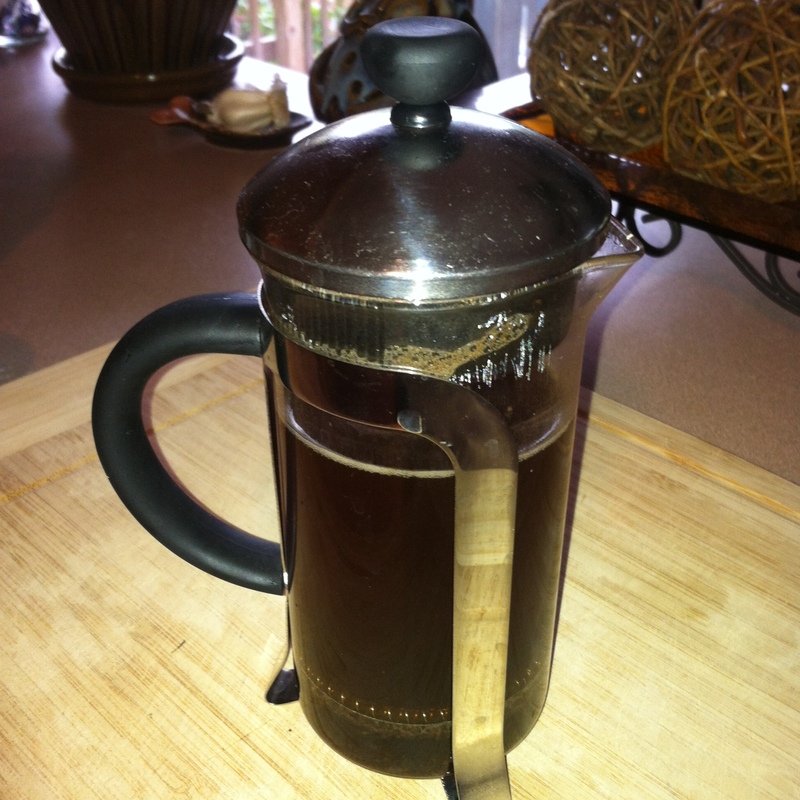 First things first… brew some coffee! If your a huge coffee lover like me then this is where a french press comes in handy, rather having to brew a full pot you can just do a cup! Waste not – want not. Also all I had was french vanilla coffee. It turned out perfect so dont be afraid, embrace the french vanilla! Next, heat olive oil over medium heat. 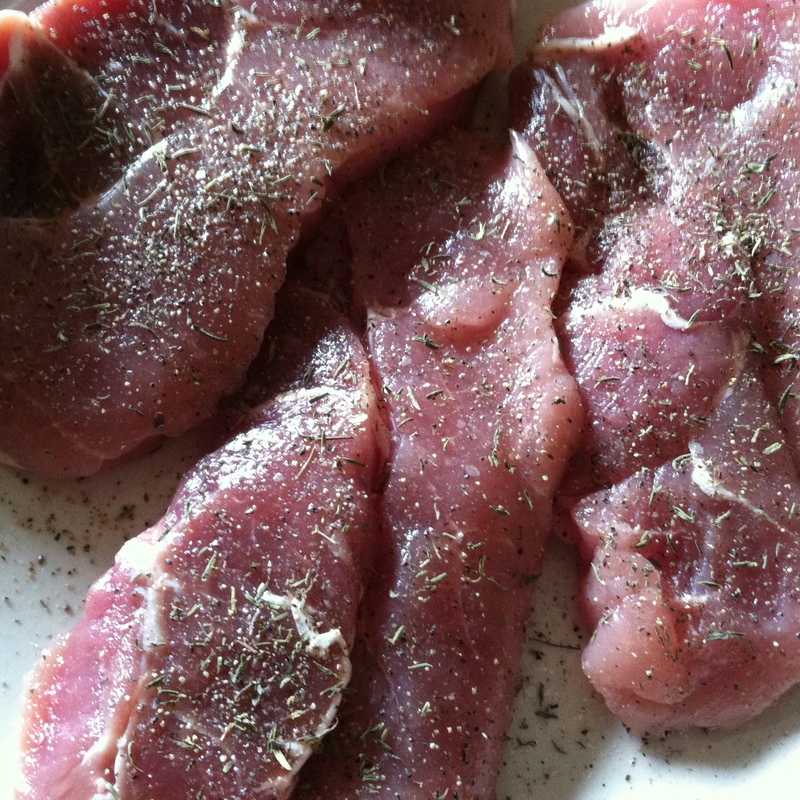 Season your chops well on both sides with your thyme, salt, and pepper. 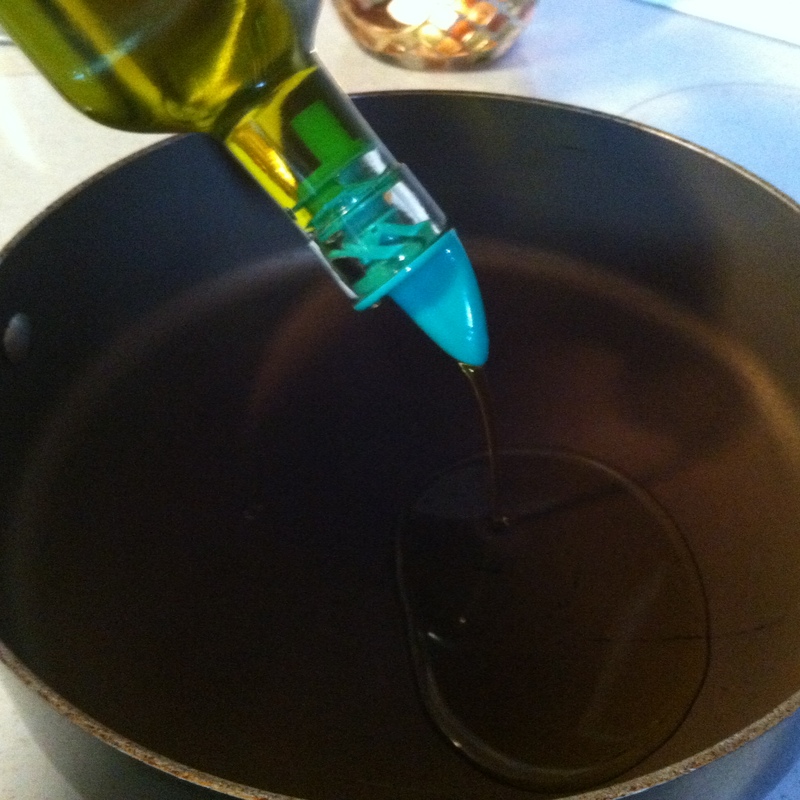 When both you and your oil are ready, carefully place each chop in your pan. 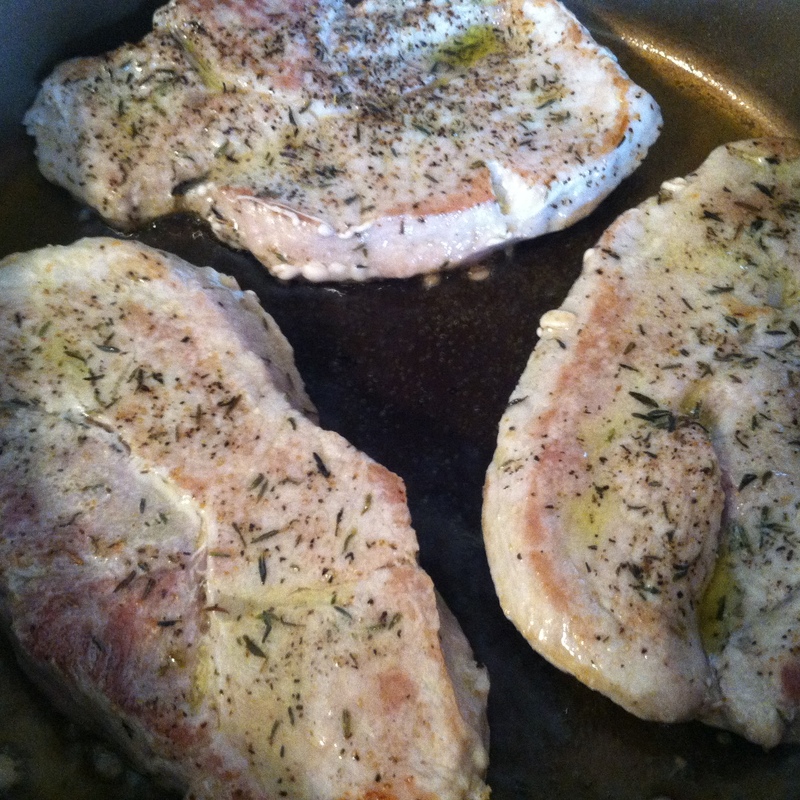 Sear both sides for 2-3 minutes until you see a nice brown crust start to form along the edges that rest on the pan. When both sides of the chops are happy and seared, transfer to a plate, tent with foil, and set aside. They will not be fully cooked at this point but no fear, they will finish up later! 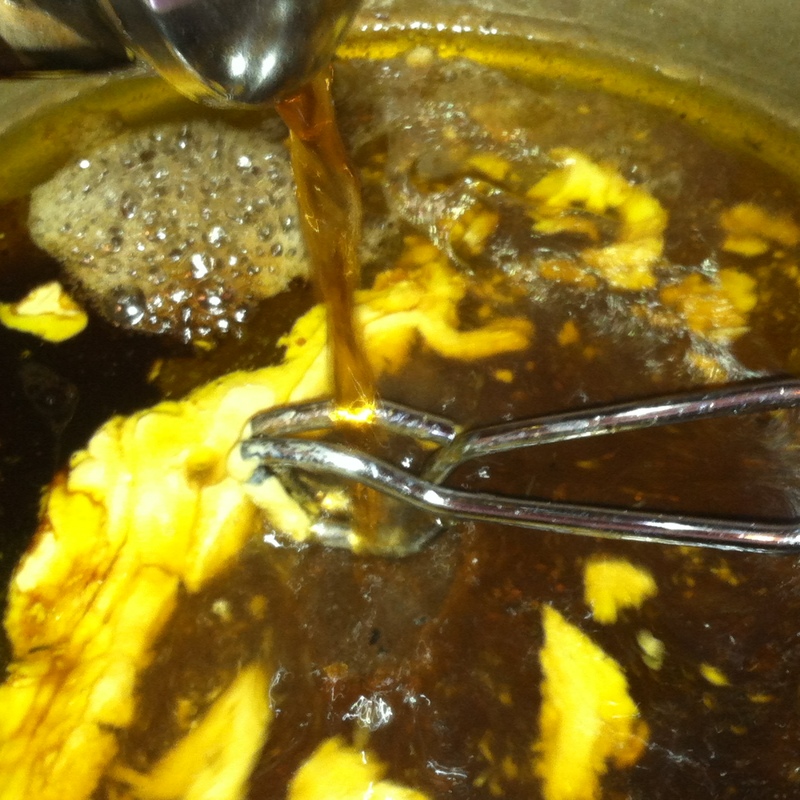 In the same pan combine maple syrup, Worcestershire sauce, and Dijon mustard. 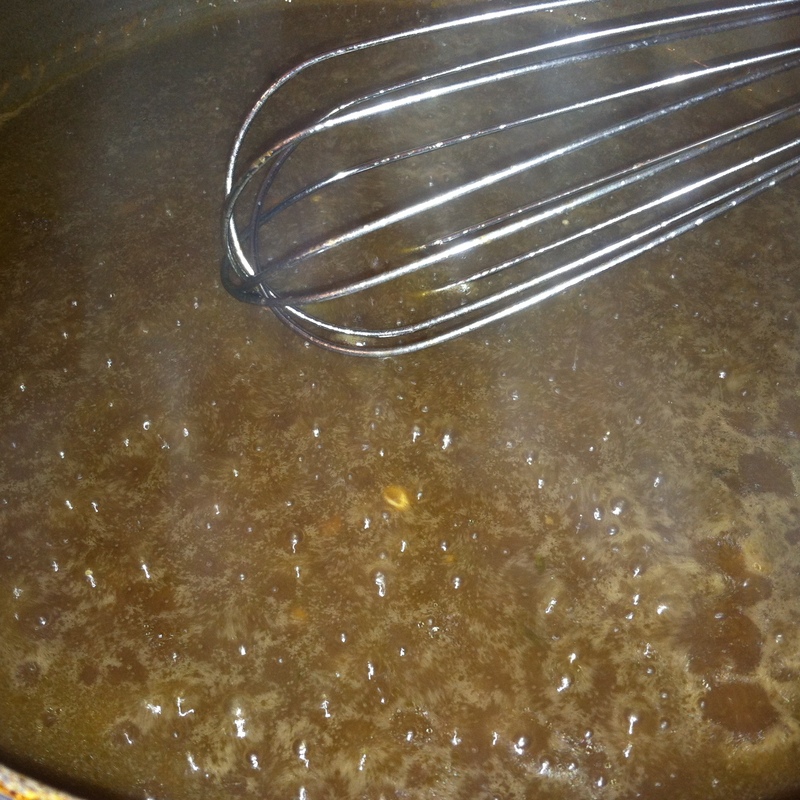 Whisk well to combine and bring to a boil. 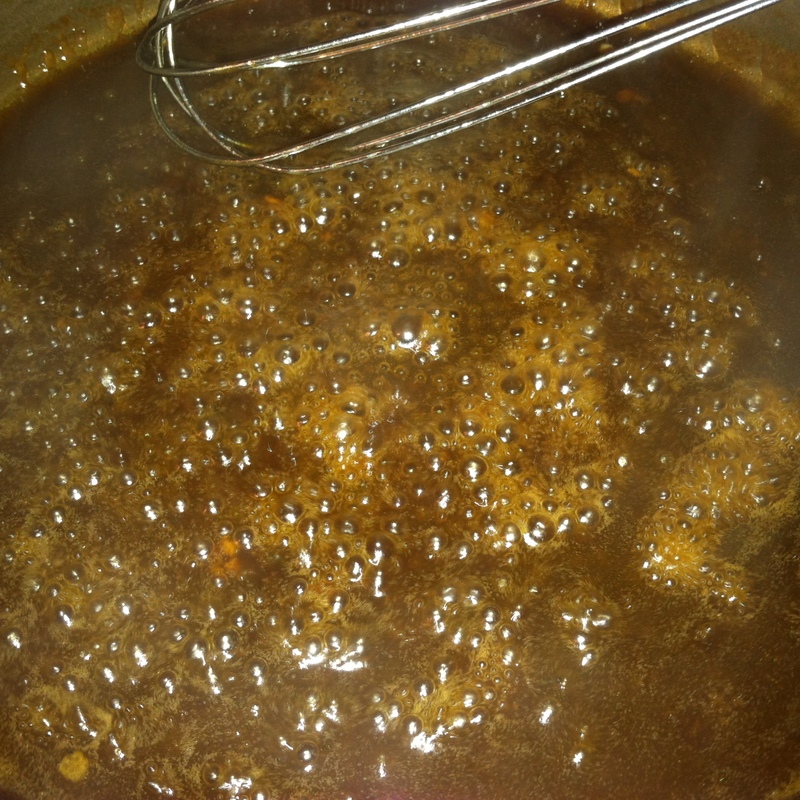 Reduce heat to a low simmer and allow to reduce to half while thickening up. This may take about 4 minutes or so. Now doesn’t that just look majestical! 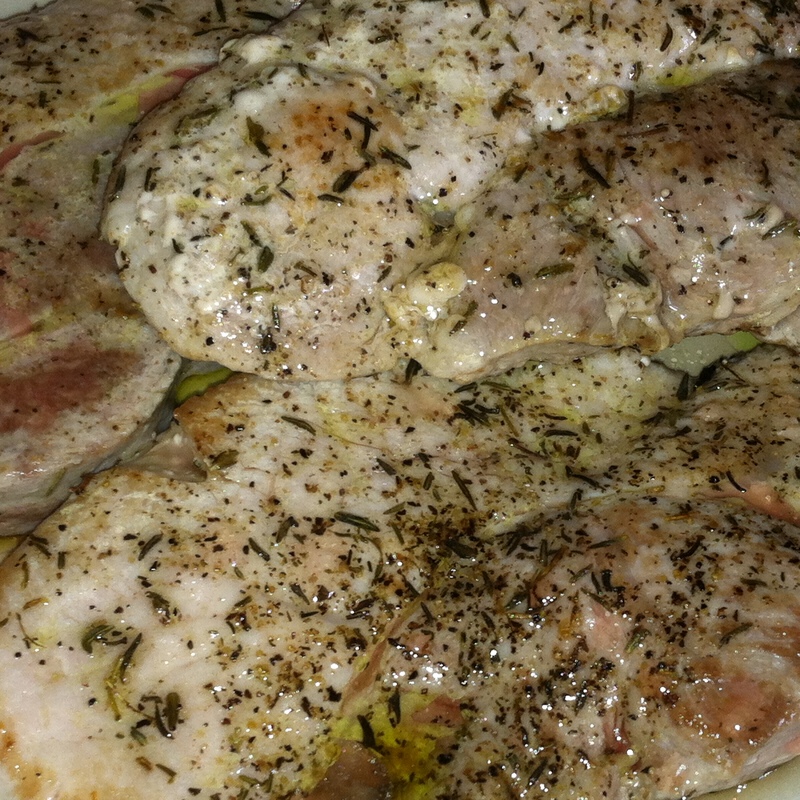 See how its reduced, thickened up, and got slightly darker in color? That is exactly what we want! 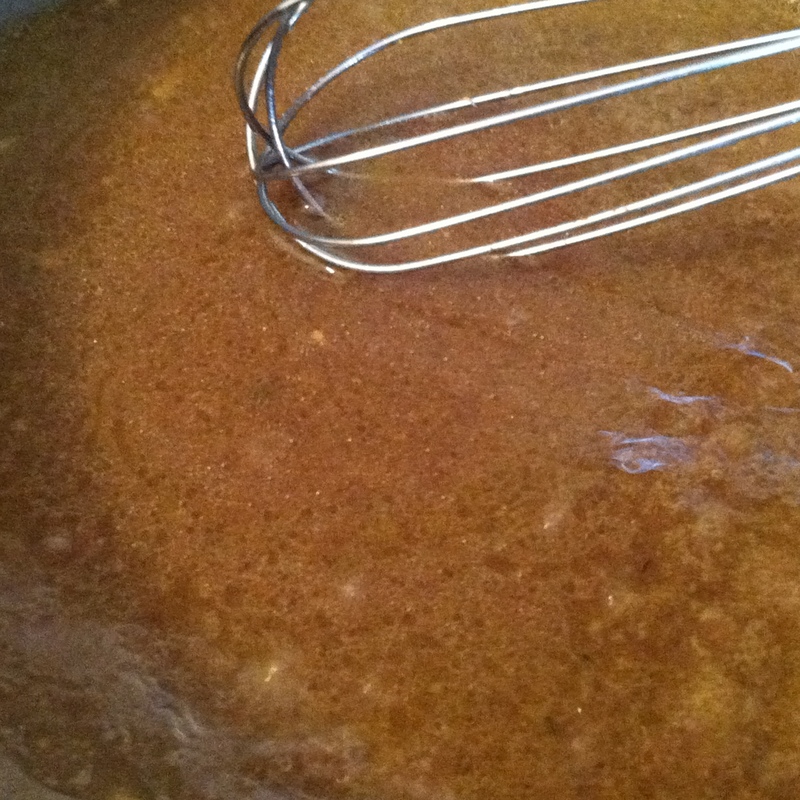 If you dont have the patience and it doesn’t reach this point, the coffee flavor wont meld well with the other ingredients and may not be that tasty to be honest, so let it do its thing. 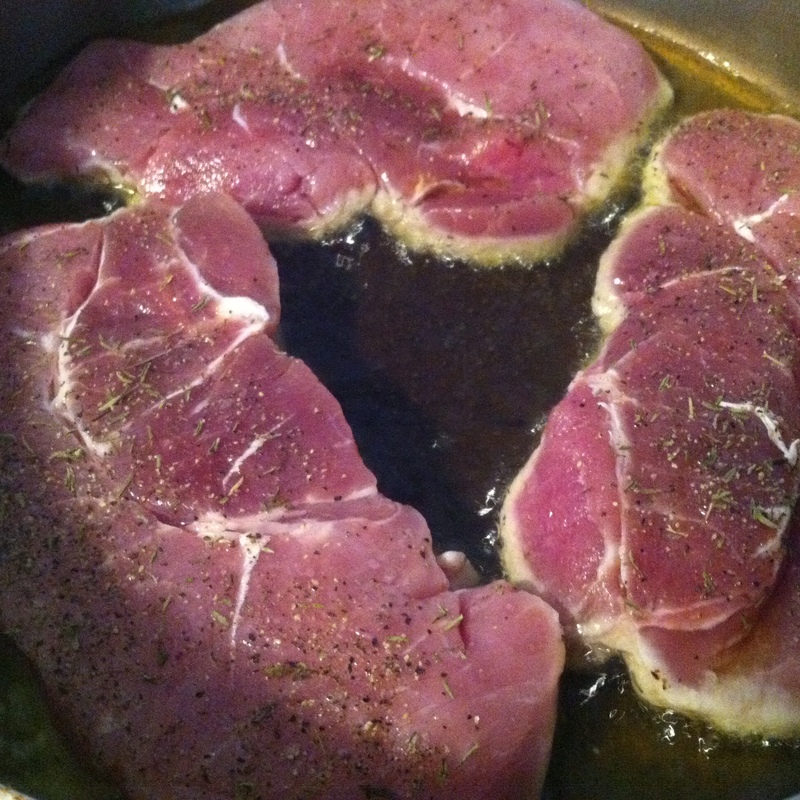 Transfer chops back to the pan with the sauce along with any juices from its time resting on the plate. Cover and cook about 10-13 minutes or until cooked thoroughly on a low simmer only flipping once. Remove from heat then transfer to a platter. 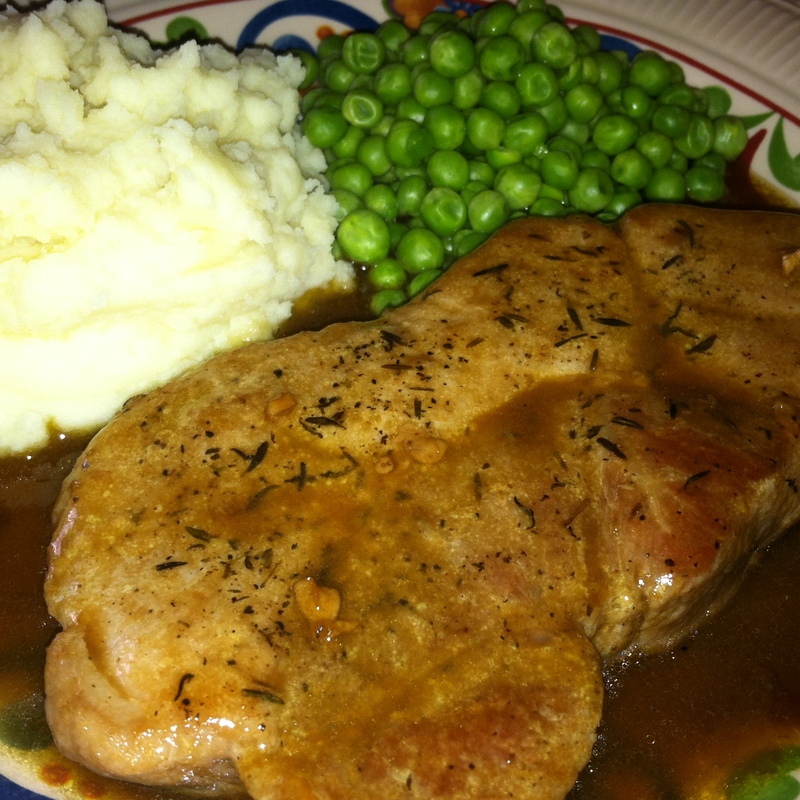 Serve with a heaping ladle full of the maple pan sauce on top of each pork chop.